Gylling Teknikk AS has been a supplier of civil and military products for many years. Our major field has been in battery applications and electromechanical products. Due to our long term relations with the Norwegien defence and through our daughter company in Sweden and our Finnish distributor we have gained invaluable battery experience in both hot and cold warfare. A battery application from us does not merely mean delivering a number of cells connected together. We are often asked to suggest a battery application either to a new product during R&D or to improve an existing product. A well known problem in storage of vehicles is the self discharge of the start batteries. Often the batteries are «stored to death». This, in turn, causes longer preparation time, higher cost and repair of corrosion damage. 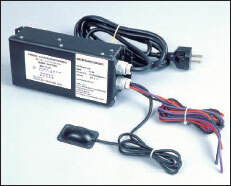 To solve this we have developed a 2x12V maintenance charger, to be installed in the vehicle. To prevent imbalance between the batteries the charger has two separate outputs. It also has a method of charging that assures a fully charged battery without any loss of electrolyte at all times. The Robot 70 battery pack has been improved, itʼs now easier to fit to the system and potential damage during installation is reduced. It can be supplied with primary lithium battery or lithium Nanophosphate™ rechargeable battery. 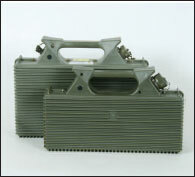 BA-5052 is the Lithium SO2 battery for the SEM radio. 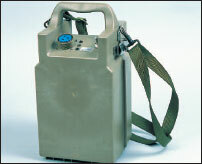 A general purpose battery housing originally designed for the TOW Missile System. It can easily be fitted with lithium, lead acid or rechargeable lithium nanophosphate™ battery. We have several options for the PRC radios. We can deliver with alkaline, lithium and Nickel-Cadmium batteries. 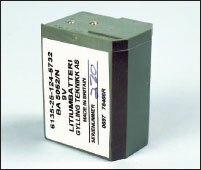 BA-5520 is a SO2 Lithium battery for the TASS system. 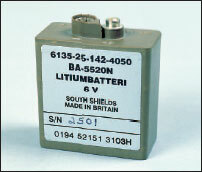 The BA 5800 is a well-known battery mainly used in the GPS systems. The batteryʼs design is now improved, to better resist the force from the spring at the batteryʼs rear end. We have also been selected as the supplier of both Lithium and NiCd batteries to the new Multi Role Radio MRR to the Norwegian army. We can deliver a wide range of lead acid batteries from the Enersys Group, including pure lead technology from the SBS, Cyclon and Odyssey batteries, and lead-calcium batteries from 36 to 550ah for battery back-up in general. 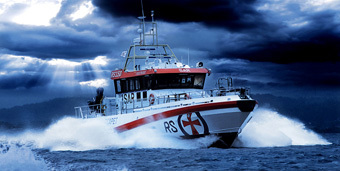 Gylling Teknikk AS was chosen by Litton Laser system and Bofors to make a tailor made battery/charger system for the Norwegian Hellfire Shore defence System. The development here gave us experience and ideas for making new portable power system for military operations. Hellfire batteries - A range of portable batteries for military purpose enclosed in these "suitcases" has been developed, both with primary lithium and rechargeable Li-nanophosphate batteries. Li-Nanophosphate batteries provides excellent cycle life, temperature performance and discharge current. The voltage and capacity can be customized. The 12 and 24 volt rechargeable Li- Nanophosphate batteries can be recharged within 30 minutes from either the generator in a vehicle or by a standard lead acid charger. The battery is in the safer LiSo2 chemistry with low self discharge and excellent low temperature performance. Our battery has higher capacity than the original. Our experience gained during the years we have worked with military battery applications enable us to ask the right questions and come up with the right answers. If you have any special requirements or demands for a battery application, please contact us.